I’ve been thinking about writing this post for a while, but I couldn’t settle on the title of the post. There are lots of people out there that run their own business, plus there are a number of individuals that are starting a “side-hustle” or are already on that road. But what about the people, like me, who work part-time, run their own business, part-time, and are hands-on-parents. Where are they? Do they exist? Or am I on a crazy train on my own? In this post, I wanted to share the reasons behind what I do, why I do it and how I balance it all to make it work for me and my family-business-work life. YAY!! I'm super chuffed!! 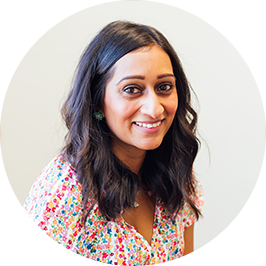 Two days ago (on my birthday) I found out my freelance side hustle business - Krishna Solanki Designs - is a finalist in the Small Business category in the Cambridgeshire Digital Awards 2017.